We offer a large range of Branded Clothing from Jackets to T-Shirts, and from Underwear to Sportswear. You can find out more about our range of clothing by filling by filling out the form at the top of the page. 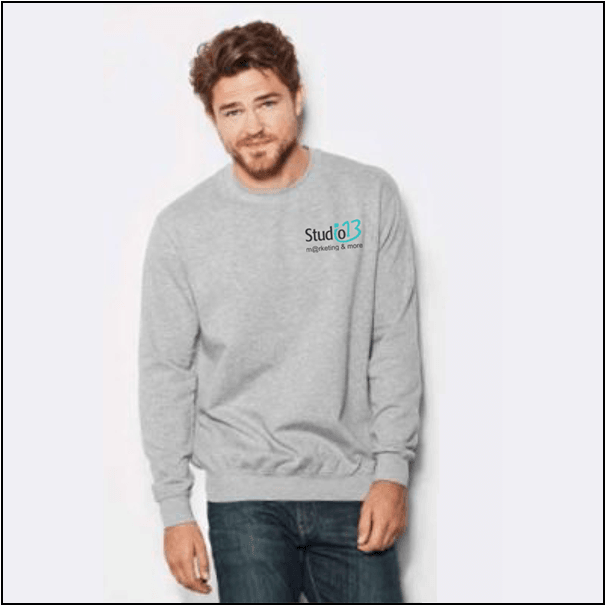 Studio 13 supplies clothing for use as promotional, funny and unique shirts or as smart, official uniforms. We can print or embroider your logo onto your own Branded Long Sleeve T-Shirts clothing to give it a truly personal touch, which will create a strong sense of pride for your organisation. 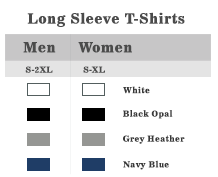 Our various Branded Long Sleeve T-Shirts are stylish, modern and fashionable. They are made from 100% cotton and available in a wide range of colours and sizes, and available for Men, Woman, and Kids. How do we create your Branded Long Sleeve T-Shirts? First, we will speak to you to find out exactly what your needs are. How many? What size? How long will you be expecting to use these? What quality are you looking for? With Printing or Embroidery? Where? How many Colours? What style of Long Sleeve T-Shirts are you looking for? These questions will affect the next stage, the pricing. Next, we will send you an exact price for your order. Studio 13 works directly with our own specialised manufacturer, meaning we get to offer the best prices available in the UK. We can provide one or one-thousand Long Sleeve T-Shirts, it is not a problem for us! When ordering branded clothing, there is always a setup cost. This varies depending on the order, but we firmly believe you will be impressed with our prices – especially for bulk orders. Along with the price, we will send you a mock-up of how your Long Sleeve T-Shirts will look with your design on (which you can supply or we can provide). We ask you to check the design for any mistakes and once we receive confirmation, we ask you to pay! We will only order your Long Sleeve T-Shirts once we receive full payment. Depending on the size of your order, your delivery date will be from 7 Working days. If you were to order say, 10,000, it would take considerably longer!